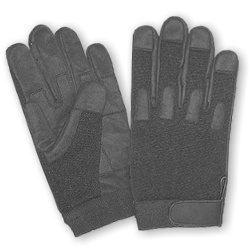 Mechanics 4 way Nylon Gloves, Double Clarino® layer palm. These mechanical gloves for all indoor and outdoor working activities. No matter what you work, but this gloves provides you extra care and protection for all types of work. The general use of these gloves in formula 1 races mechanic, racing practices, and mechanical work etc. There are many colors involve in making these particular gloves. o 4 way Nylon fabric back hand. o Amara at finger back tips for great protection. o Double layer of Black Clario padded palm.